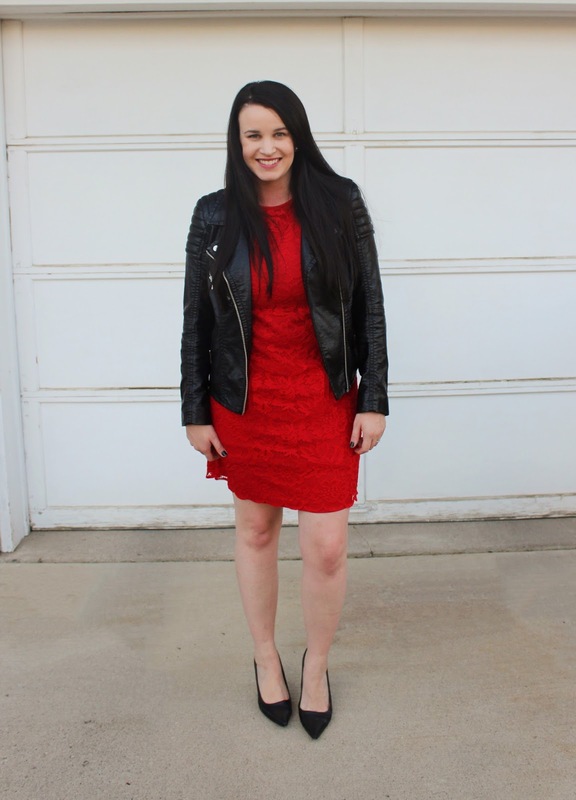 Sharing a little Valentine's Inspired Outfit for tomorrow... 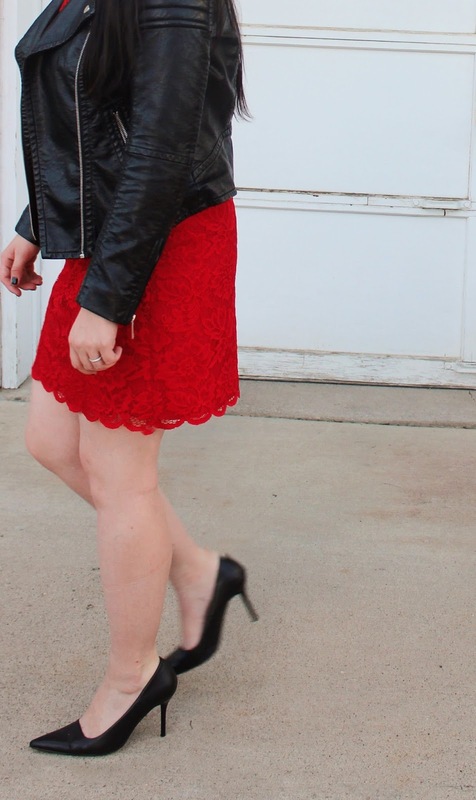 I still can't believe it's already Valentine's Day! 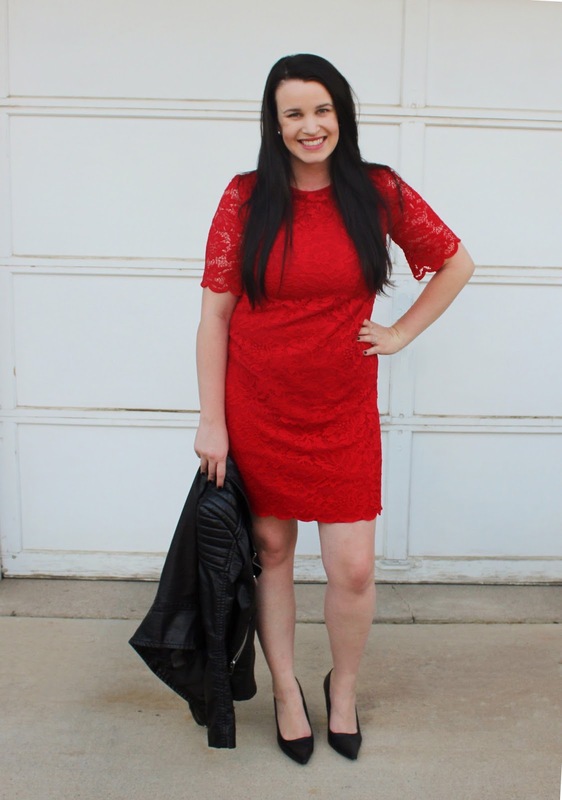 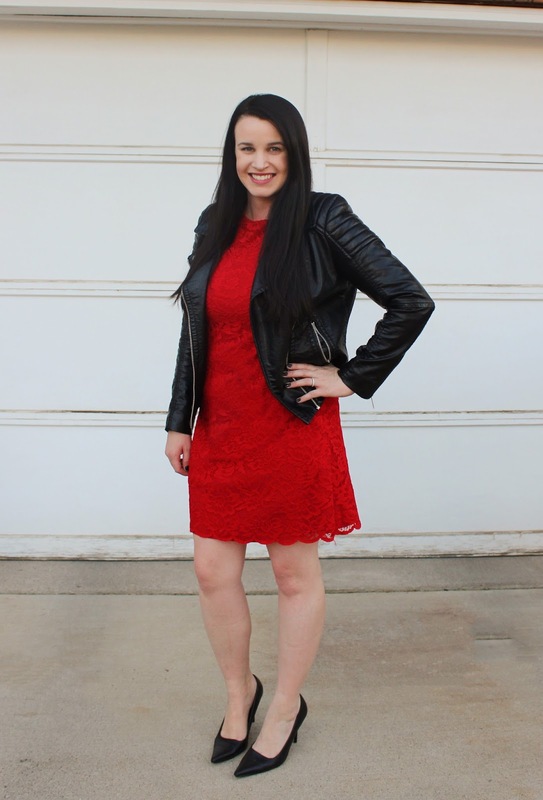 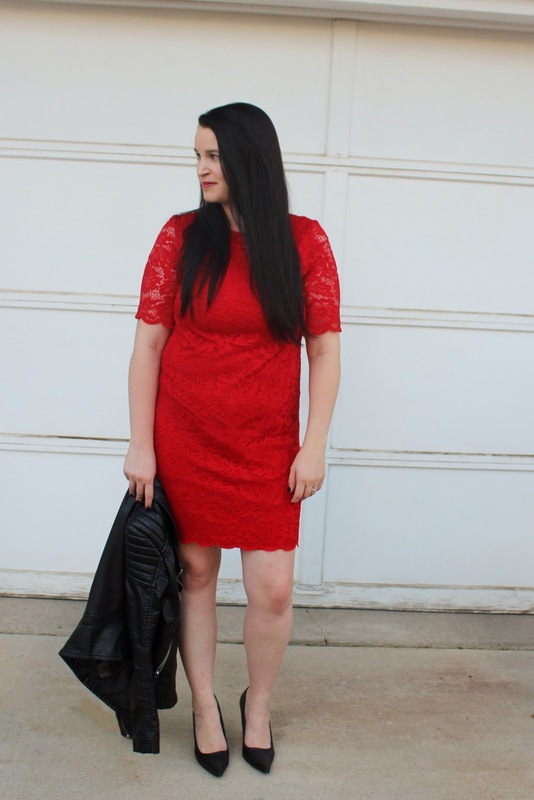 This year is going by soo fast for me.This fun red lace dress from Twirl Boutique is one of my favorites and I loved pairing it with this leather jacket from H&M! 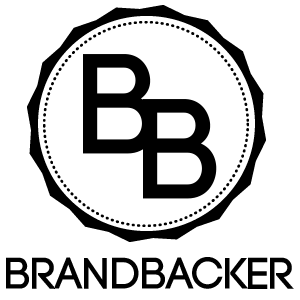 We are taking the day easy tomorrow and just going to a nice lunch together since sometimes how consumer-driven the holidays can get! 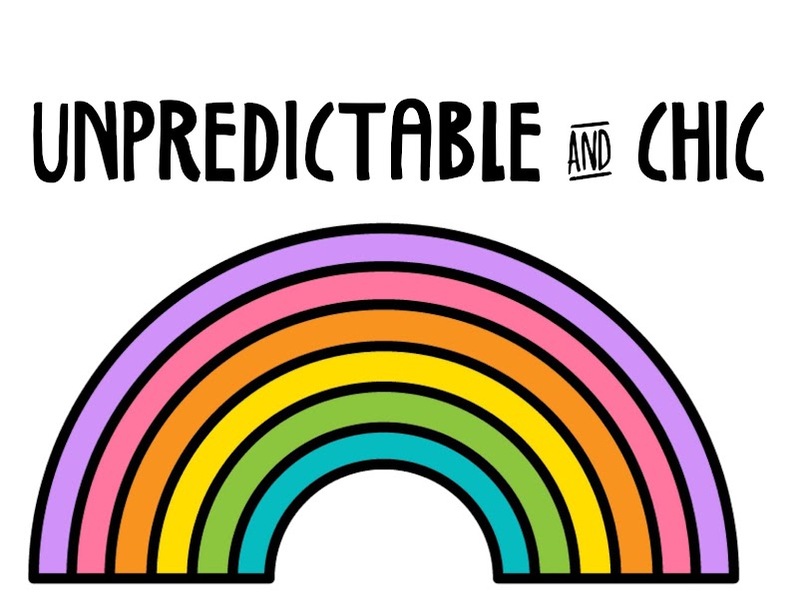 What are you doing tomorrow with your loved one?